We love our Crew Leaders! Last weekend 10 amazing and dedicated volunteers joined the Home Gardens team for a full-day training in our garden building methods and volunteer management. We built gardens for two new families in the Home Gardens program and in the next two weekends these Crew Leaders will help build 15 additional gardens. We have a bunch of projects coming up that we are recruiting for volunteers. Email emily@growing-gardens.org for questions or to sign up! Want to get involved? We are currently seeking volunteers for summer garden club assistants. We are also looking for garden tenders to help with the maintenance in exchange for produce this summer. See the map of our partner school locations to get your hands dirty this summer. Contact Sarah for more information, sarahc@growing-gardens.org. Announcing an exciting new partnership with the Capitol Hill Library! 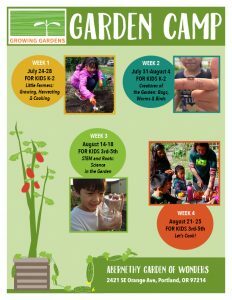 Youth Grow educators will be providing “Family Garden Club” on Wednesdays at the Capitol Hill Library. Kids will get to plant and harvest, while learning about all the creatures that make a garden their home. Kids spending time learning in a garden seem to come up with lots of great research questions, so after garden club they can head inside the library to learn more! 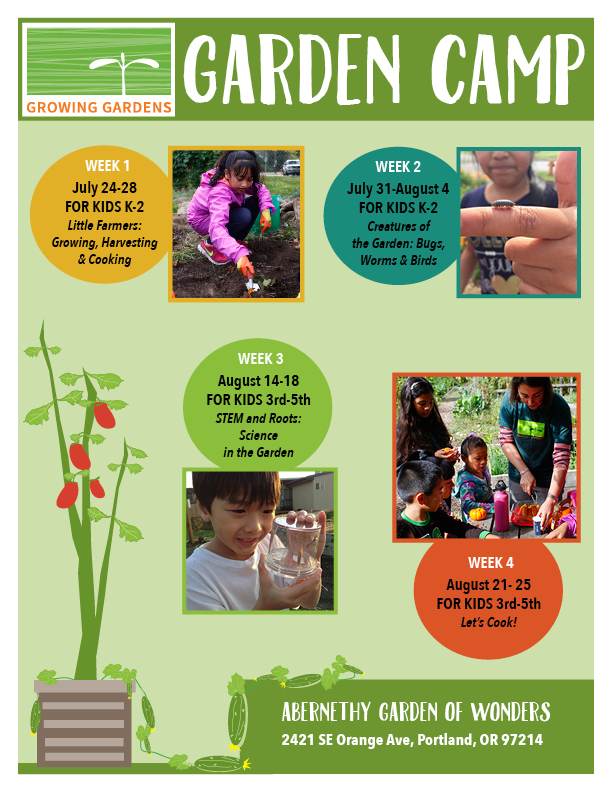 Our School Garden Coordinator Certificate Training will be June 26-30th in Southeast Portland. Through this 35 hour training, leaders in the field will share best practices for building, using and maintaining school and youth food gardening programs. 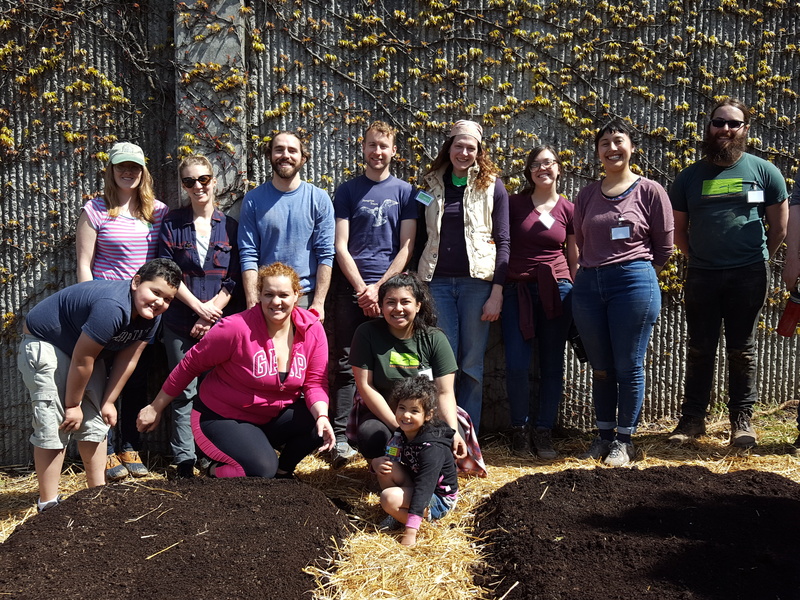 By the end of this training, you will have knowledge, skills and resources to implement and maintain an edible school garden project built on a foundation of broad community involvement. Participants are also eligible for credit through Portland State University. 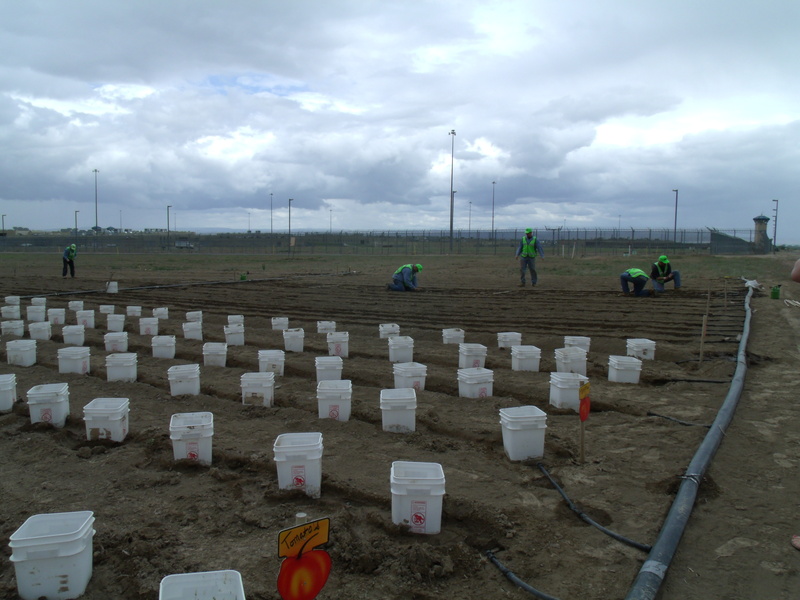 Now that it’s spring, gardens at correctional Institutions are moving from planning to planting. 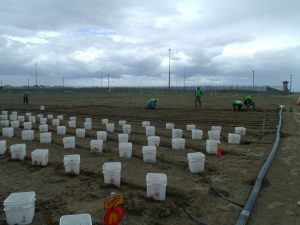 Our folks at Snake River Correctional in Ontario Oregon have come up to combat their tough windy spring weather. The gardeners cut the bottoms out of the buckets and placed around the plants to protect them from the wind and rodents. The area is very windy at times. They have lots of plastic buckets that our food service section receives food items in, so they are able to re-use those to protect our delicate starts. We are still rationed water but the institution has drilled a few wells last year and we expect to be able to use that water this year for irrigating our lawns and for our garden.